A concern for one’s own safety, in the face of real and immediate dangers, is the process of a rational mind. Just as Orr, in the classic novel Catch-22 would have been crazy to fly more missions and sane if he didn’t, (but if sane would continue to have to fly them), fast- forward to today and we have an employer’s perception of dealing with the long term unemployed. A case where solving one part of the problem only creates another problem, which of course leads right back to the original problem, Catch-22 is found nipping at the heels of employers as they attempt to weed through mounds of candidates by arbitrarily dismissing those without recent employment history. It’s a practice that not only perpetuates the long-term unemployment problem but might also lead employers down the path to legal trouble. Sure, it’s easy to think that there must be “something wrong” with someone who has been unemployed for a lengthy period of time, and how easy it must be to sift through a pile of resumes and discard those people off the top, but this frankly lax and unwise method of candidate screening is causing more harm than good across individual organizations and the economy at large. Is long-term unemployment worse than a criminal record? A recent anonymous survey of 1,500 recruiters and hiring managers, conducted by recruiting software provider Bullhorn, revealed some interesting findings. One was the impact of unemployment—and specifically long-term unemployment—on an individual’s ability to get a job. The surprising revelation of those surveyed is that “it’s easier for them to place someone with a criminal record (non-felony) in a new job than it is to place someone who has been unemployed for two years,” according to the researchers. Even being unemployed for as little as six months makes placement difficult. According to the Bullhorn study, 36 percent of respondents say it becomes difficult for recruiters to find a position for a candidate when the individual has been unemployed for between six months and one year. Seventeen percent said that being unemployed for fewer than 6 months would still make it difficult to place someone in a job and four percent feel it is difficult to place anyone unemployed, no matter the duration. Huffington Post also recently shed light on new UCLA research that found that the “simple fact of being unemployed carries a stigma” no matter how briefly someone has been out of work and regardless the factors that led to the unemployment (voluntary or involuntary). This is not an insignificant problem. Nearly two million people in the U.S. have “officially” been out of a job for two years but that number is likely much higher, according to Forbes. Five million have been unemployed for six months or longer. What this research points to is an unfortunately vicious cycle that can occur when being unemployed restricts employment opportunities which leads to longer unemployment and even more challenging employment-related stigma until many simply decide to drop out of the job market altogether. And that sad fact directly impacts and worsens an already stressed economy. This is a Catch-22 we should all be concerned with. Surprisingly, some employers have gone so far as to advertise specifically that applicants “must be currently employed” to be eligible. And while “joblessness” does not qualify as a protected class against discrimination, some lawmakers have attempted to place specific limits on an employer’s use of recent employment as an eligibility requirement in the job application process. Frankly, it’s surprising that employers would respond to the unemployment issues we face in this economy by refusing to hire people without jobs, but as the research points out, this is likely what’s happening. There is a very strong likelihood that any employment practice that has disparate impact on the unemployed will be closely scrutinized from a ‘fair hiring practices’ standpoint. Especially when you consider the number of unemployed who are protected under Title VII. The statistics shown below, taken from Pew analysis of 2011 population survey data, paint the picture well in showing that there is a significant portion of our population among the long-term unemployed who are disproportionately members of protected classes. In fact, according to the data in this survey, Blacks and Hispanics make up 26% of the Labor Force, yet comprise 40% of the long term unemployed. These data are analogous to the statistical information cited by the EEOC in its recently revised guidance on the use of criminal records in hiring. It is in no one’s best interest, including your own, to exclude the unemployed from your job search. Imagine all of the talented people who have taken time off to raise their children (men and women alike), who have been displaced from their jobs due to circumstances unrelated to job performance, who have perhaps faced a family crisis that forced them to take time off, who have taken time to fight cancer or another recoverable disease… Even those who have been laid off or otherwise unemployed have good reason to be considered in the hiring process. 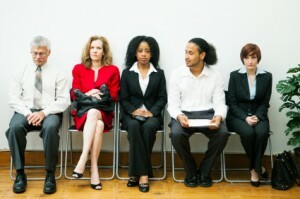 As always our advice is to take a holistic approach to recruiting, screening, and hiring candidates. 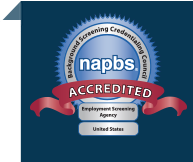 We invite you to discuss your employment screening practices with an expert.